We’ve really enjoyed the planting a forest campaign this month, together we’ve planted almost 300 trees … but wanted something a little more hands-on. If we are truly “planting a forest”, then there needs to be some actual planting going on, am I right! So when we spotted these living Christmas trees we knew they’d be the perfect thing! We’ll keep them indoors till spring, then plant them in the backyard. The great thing about these little trees is the learning opportunity that came with them. I like to think we do a pretty good job teaching our children how to care for the environment – we recycle, we compost, we conserve water, and try not to waste energy. We talk to them about using scrap pieces of paper for all their “projects” and we discuss big issues like alternative energy and our carbon footprints. One thing we’ve never done however, is bring the outdoors in. It’s such a simple thing to do, but one we had overlooked until now. 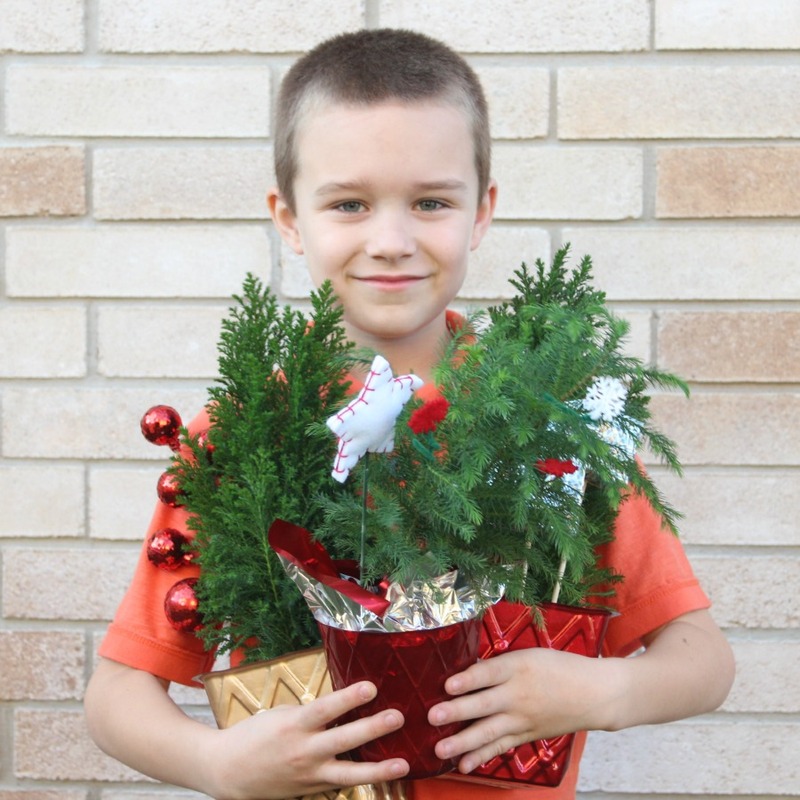 These little trees aren’t just pretty to look at or fun to have around for the holidays, they are actually serving a significant purpose right now for our family. They are improving air quality in our home. Indoor air pollution is actually a big deal. The concentration of chemicals, toxins and pollutants is much stronger indoors than the air you breathe outside; it can be a huge health problem if you are sensitive, have allergies, asthma, or other respiratory problems. The way all of the males in our home do. The more we talked about the good the plants were doing in our home, the more questions they asked – what other ways can we make the air inside our house cleaner? Here’s the list I came up with for us and it’s easy enough I bet it could help your family too. 1. Open a window, and let some fresh air in. 2. While you’re at it, bring in some living plants too! 3. Take your shoes off and keep them by the door. You’d be surprised how many chemicals you track in on your feet! If you have questions about any of these, want me to elaborate or have ideas of your own — I’d love to hear from you in the comments. We’ve been working hard to raise awareness about New Leaf Energy’s plant a tree initiative on Facebook. 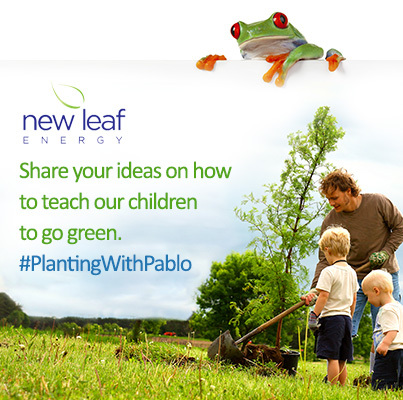 We invite you to share your ideas on how to teach our children to go green on any social media platform with the hashtag #PlantingWithPablo.